The MEK test in the Active Thermitic Material ... paper was important in that it established that the aluminium in the red/gray chips is in elemental form consistent with the thermite hypothesis, rather than aluminosilicate form consistent with the paint hypothesis. JREFer Oystein is skeptical. He believes that what Harrit et al soaked in MEK wasn't actually one of their "red/gray chips" at all. Prior to soaking the chip in MEK, Harrit et al generated an XEDS spectrum (Figure 14). As Oystein points out, there are major differences between Figure 14 and earlier red layer spectra. In Figure 14, the oxygen is higher than the carbon, there's much less aluminium than silicon, there's more iron than silicon, and there's a high sulfur peak and a really high calcium peak, as well as peaks for zinc and magnesium. Because of this, Oystein reasons that the chip that was soaked in MEK was a different kind of chip from those documented earlier in the paper. Harrit et al state that "the analysis was performed on the as-collected surface of the red layer". The chip was not cleaned or cross-sectioned, in other words. The spectra Oystein compares this figure to were of fresh red-layer cross-sections. In other words: With the exception of Al and C, you must declare more than 50% of everything in this chip to be "contamination". Wow. What a handwave Harrit, Jones and Farrer tried there! And ScootleRoyale apparently fell for it! Quote from Harrit et al: "Prior to soaking the chip in MEK an XEDS spectrum was acquired from an area of the red-layer surface." The spectrum is of an area of the red-layer surface, not the entire red layer. So you don't have to declare more than half of the entire chip to be contamination, just the area that the beam was focused on! In this spectrum, the oxygen peak is nearly equal to the carbon peak, and the silicon peak is significantly higher than the aluminium peak. Magnesium, calcium and sulfur are also present. In this spectrum, the oxygen peak is higher than the carbon peak, and again there is significantly more silicon than aluminium. Calcium, magneiusm and sulfur are again present, along with zinc. In this spectrum, the oxygen peak is much higher than the carbon peak and the silicon peak is much higher than the aluminium peak. Once again, there are also peaks for calcium, sulfur, zinc and magnesium. In this spectrum, the iron peak is significantly higher than the peaks for aluminium and silicon. In spectrum 9 (top), the oxygen and silicon peaks are massive compared to the carbon and aluminium peaks. In spectrum 14 (middle), the oxygen peak is again much higher than the carbon peak. There is also a large calcium peak and significant sulfur. In spectrum 16 (bottom) the calcium peak is even higher, dwarfing even the silicon peak, and the oxygen and carbon peaks are basically the same height. Using Oystein's reasoning, you could claim that none of these chips are a match for chips (a)-(d) in Harrit et al either. But Millette concluded, after cross-sectioning and SE imaging, that they are a match. It seems the unusual peaks in these surface spectra were due to surface contamination, just as Harrit et al reasoned for their Figure 14. So what does Oystein believe they actually soaked in MEK? Tnemec primer! Wait so is he saying Tnemec primer contains elemental aluminium? Is he saying that Tnemec primer doesn't dissolve in paint solvent? Oystein's claim makes no sense. The reason Harrit et al soaked a chip in MEK was to compare the result to Tnemec primer! Oystein does have a point though. The fact that there's no pre-MEK structural analysis is a weakness of the Harrit et al paper. Oystein's criticism is fair. This is why the case for the chips being thermitic isn't rested solely on the MEK test. This is why they did other tests afterwards, such as the flame ignition tests and DSC tests, and analyses of the post-ignition microspheres. In fact, as well as proving that the chips react exothermically, the DSC plots actually provide more evidence for elemental aluminium. Notice how two of the traces go into the negative at around 620-670 degrees celsius. A small endothermic peak in this temperature range is characteristic of aluminium melting. This suggests that even after the reaction, there was still some elemental aluminium left over in those chips, which then melted. I've noticed that a lot of debunker responses to the Active Thermitic Material paper revolve around there not being enough data in the paper. The MEK chip in the paper wasn't the only chip they soaked in MEK. Several chips were soaked in MEK but only one was reported on. Also, surface spectra were generated for chips (a)-(d) before they were cross-sectioned, but weren't included in the paper. According to Farrer, similar contamination to Figure 14 was observed in those. The paper is long enough as it is: 25 pages with 33 coloured illustrations - some of which fill an entire page. It could easily have been several times that with all the data they had. In fact, earlier versions of the paper were indeed longer, but the authors were told by peer-reviewers to keep the length to a minimum. You could nitpick just about every scientific paper ever published for not reporting enough data. And that's all Oystein's criticism is. 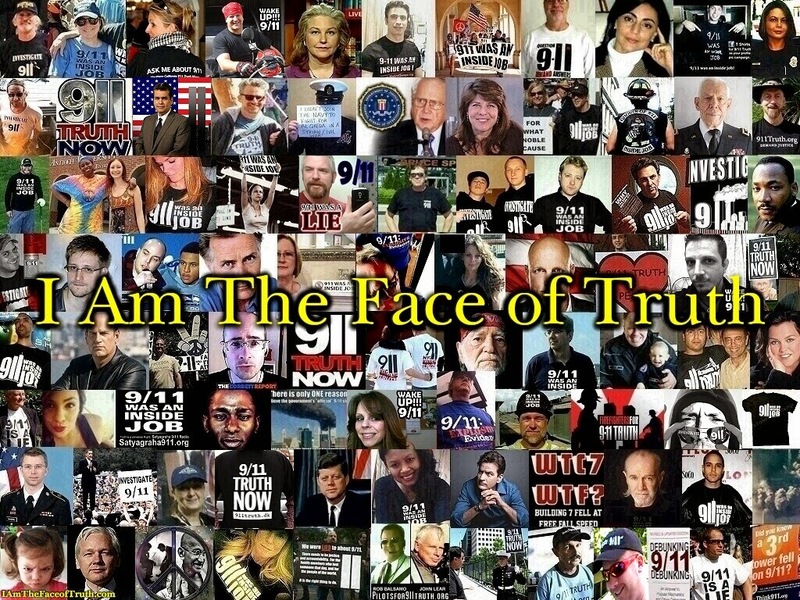 AE911Truth - Psychologists on coping with 9-11 truth. Just because the evidence suggests that US and other international intelligence agencies were involved doesn't mean bin Laden and Al-Qaeda hijackers weren't involved. Click here for more info. So what is Steven Jones talking about here? The top-left image above is a BSE image of a section of the red layer (Figure 10a in the paper). The top-right and bottom-left images are the same image, but with the XEDS maps for aluminium (Fig. 10c) and silicon (Fig. 10e) respectively overlayed. The bottom-left image is the same but with BOTH the aluminium and the silicon maps overlayed. As you can see, the maps for aluminium and silicon are pretty much identical - meaning wherever there's aluminium, there's also silicon. The regions high in aluminium and silicon correlate very well with the locations of plate-like particles. The results indicate that the smaller particles with very bright BSE intensity are associated with the regions of high Fe and O. The plate-like particles with intermediate BSE intensity appear to be associated with the regions of high Al and Si. An XEDs spectrum (Figure 11a in the paper) of a cluster of plate-like particles confirms that they are rich in both aluminium and silicon. By placing the beam on a cluster of plate-like particles, the spectrum in Fig. (11a) was generated. The spectrum in Fig. (11b) was acquired from a cluster of the smaller bright faceted grains. Again it was observed that the thin sheet-like particles are rich in Al and Si whereas the bright faceted grains are rich in Fe. Now, if we see plate-like particles that are rich in both aluminium and silicon (as well as oxygen), it leads to the obvious hypothesis that these plate-like particles may be some form of aluminosilicate, such as kaolin. Steven Jones claims that this was their initial thought. So what he and his colleagues did was test to see if the elements could be separated. To do this, they soaked a chip in the solvent methyl ethyl ketone (MEK). The above four images are of the same format as the previous four, but of a post-MEK chip (Figure 15 in the paper). As you can see, the aluminium and the silicon maps now look very different. By employing some means to separate the different components of the material, the chemical compositions of the different particles in the red layer were more accurately determined. The initial objective was to compare the behavior of the red layer with paint when soaked in a strong organic solvent known to soften and dissolve paint. Red/gray chips were soaked in methyl ethyl ketone (MEK) for 55 hours with frequent agitation and subsequently dried in air over several days. The chips showed significant swelling of the red layer, but with no apparent dissolution. In marked contrast, paint chips softened and partly dissolved when similarly soaked in MEK. It was discovered in this process that a significant migration and segregation of aluminum had occurred in the red-chip material. This allowed us to assess whether some of the aluminum was in elemental form. XEDS spectra (Figures 16 & 17 in the paper) confirm that the aluminium has separated, not just from the silicon, but also from the oxygen. The authors therefore conclude that most of the the aluminium in the red layer is in the elemental form and not in the oxide or aluminosilicate forms, thus ruling out the possibility that the plate-like particles may be kaolin, and supporting the thermite hypothesis. Focusing the electron beam on a region rich in silicon, located in Fig. (15e), we find silicon and oxygen and very little else (Fig. 16). Evidently the solvent has disrupted the matrix holding the various particles, allowing some migration and separation of the components. This is a significant result for it means that the aluminum and silicon are not bound chemically. The next XEDS spectrum (Fig. 17) was acquired from a region that showed a high concentration of aluminum. Using a conventional quantification routine, it was found that the aluminum significantly exceeded the oxygen present (approximately a 3:1 ratio). Thus, while some of the aluminum may be oxidized, there is insufficient oxygen present to account for all of the aluminum; some of the aluminum must therefore exist in elemental form in the red material. This is an important result. The existence of elemental aluminum and iron oxide leads to the obvious hypothesis that the material may contain thermite. One red/gray chip was subjected to 55 hours of submersion in MEK, then dried and coated with a thin layer of gold for conductivity. The red layer was analyzed by SEM-EDS analysis using an advanced x-ray phase mapping technique. SEM-EDS phase mapping ... of the red layer after exposure to MEK for 55 hours did not show evidence of individual aluminum particles (Appendix G). So far this is the main disagreement between the two reports in terms of data. Dr Millette has not yet done any ignition tests, because he says there's no need. From the results of his MEK test, there's no reason to suspect that the chips are thermitic. If, in his chips, the aluminum and silicon are bound chemically, we shouldn't expect them to react. So a DSC test wouldn't necessarily debunk his report. For Dr Millete's samples, there's no established chain of custody, so the different results may be due to the fact that the chips in his samples were deactivated in some way or substituted for something else. And of course, there's always the possibility that Dr Millette may be committing fraud. Kevin Ryan has noted that Dr Millette was one of the Rutgers scientists accused by EPA whistleblower Cate Jenkins of fraudulently downplaying the corrosiveness of the WTC dust. I'm not willing to go that far and accuse him of such a thing yet, but I have had my suspicions about this since the beginning. Chris Mohr is like the Brian Deer of 9/11 research. He's come from nowhere as a journalist with no scientific background, but the Skeptics Society seems to think he has authority on a scientific issue. 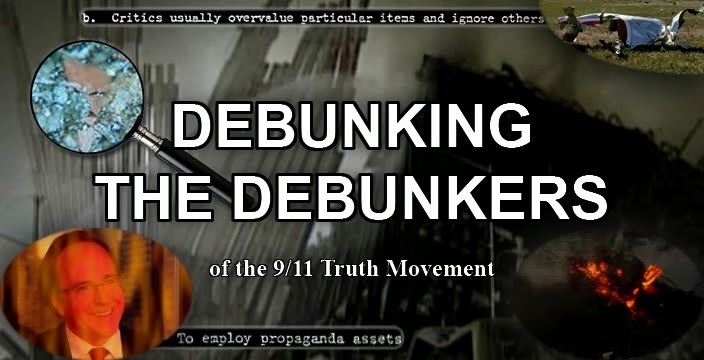 He claims not to be a debunker, but his videos parrot the same old debunker claims, many of which were long ago debunked by experimentation - that the south tower molten metal was aluminium, that the eutectic steel from WTC7 was caused by gypsum, to name a couple. 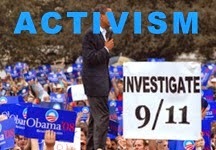 And his Skeptic magazine article claiming 9/11 demolition arguments take the form of "What about this? ... What about that? ", is one big straw man. I’m not attacking you, Chris. I’m pointing out that you have been, and continue to be, deceptive. That is a fact. But you must be someone very important. NIST spurned years of efforts by independent scientists to communicate openly on the subject but the first time you called them they were at your service. Now the top lab analyst for the government dust reports will replicate months of scientific work for only $1,000. I haven’t heard of anyone being so lucky since 9/11, when the alleged hijackers lucked out with the US government at every turn. Then there's the fact that when he announced the study, a load of JREFers started getting really excited and put money towards it, when historically they've resisted doing any real science and supporting independent investigations - preferring instead to simply troll - and they've dismissed earlier independent replications by Mark Basile that confirm the findings of Harrit et al. The whole thing is a tad suspicious. Also the timing is suspicious. 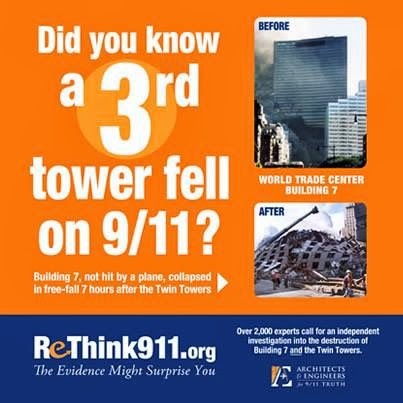 Right as AE911Truth is finalizing its Experts Speak Out DVD, which is set to be one of the most important and credible 9/11 truth films. Seems like they want to discredit it right as it's released. Dr Millette's report did confirm the presence of rhomboidal iron oxide nanoparticles about 100-200 nm in diameter. What's particularly interesting about this find is the consistency in terms of the size and shape of the particles. It's not as if they vary greatly in size from like 50 nanometers to a few micrometers or something. No, they're all consistently in the range of one and two hundred nanometers and they're all the same basic shape. It seems unlikely that such remarkable consistency and crystallinity would occur randomly and be found in a paint pigment. So that fact alone would suggest we are looking at something that was engineered. And obviously we know the chips do something when heated. We have video! Perhaps Dr Millette could repeat Mark Basile's experiment, video and all, and do a DSC test. If the results of his DSC test are different from Harrit et al, and no molten iron is produced, but the visual of one of his chips being heated to an "ignition" temperature is the same as what's observed in Basile's footage, that would suggest that Basile's footage is not necessarily of a thermite reaction. On the other hand, if when heated, what his chips do is nothing like Basile's footage, that would confirm that his chips may be defective in some way. The debunkers have for three years insisted that the plate-like particles are kaolinite, even though the data clearly refuted that. It's highly convenient now that they've got some more data that it just so happens to contradict the troublesome data in the Harrit et al paper and support their three year old baseless assertion.